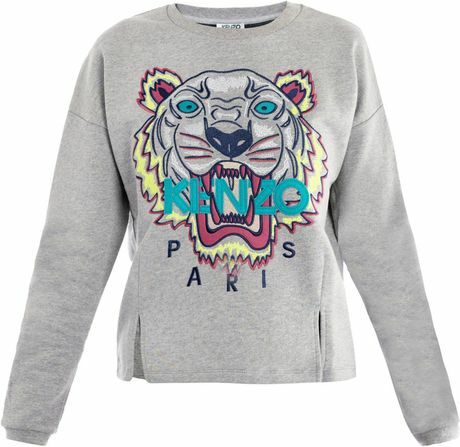 I chose this Kenzo sweatshirt for color inspiration. 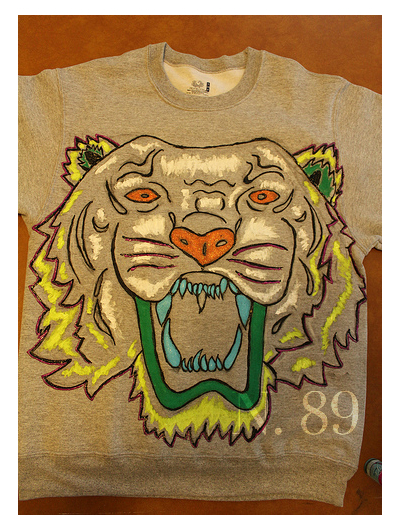 *FOR THE TIGER:I drew my tiger onto my crewneck by hand with pencil and a white china marker while looking at a closeup picture of the Kenzo tiger. 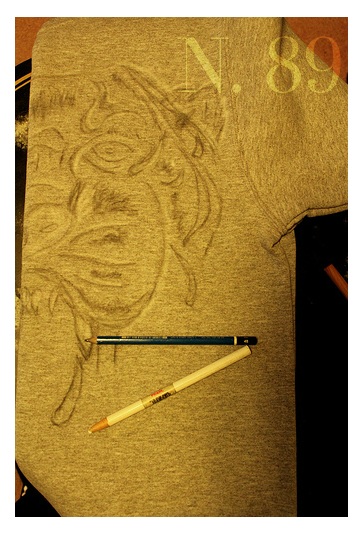 However, you can simply search “tiger face outline” on a search engine and print the image of your choice to the size you would like and make a stencil, then trace the shapes or just paint over the stencil as is. 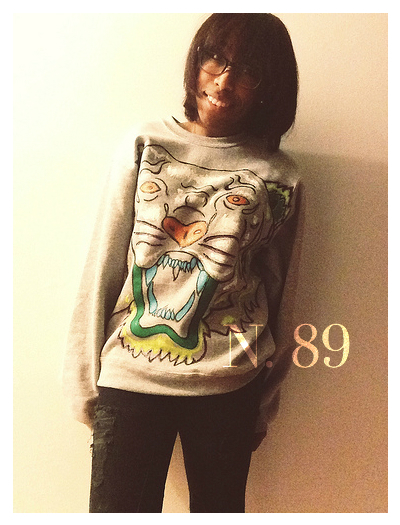 1) First you want to lay the sweatshirt out on a flat surface. 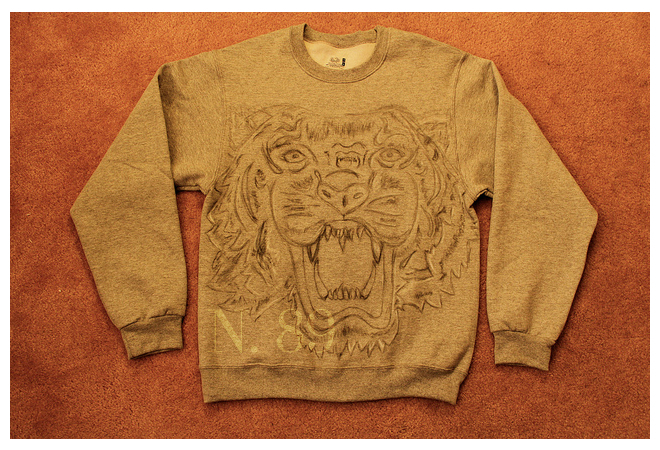 I then folded mine in half and drew half of the tiger’s face, and then opened the sweatshirt to draw the other half. This step varies depending on the method of choice. 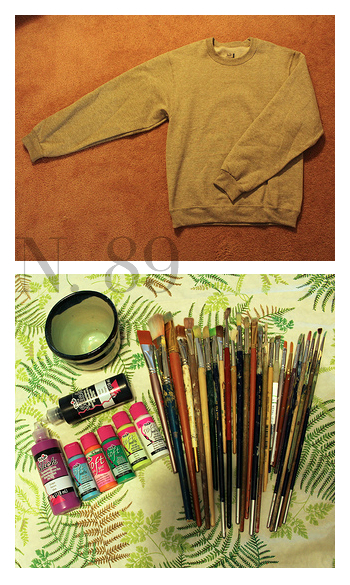 I applied three coats of paint, allowing each coat to dry on its own before applying the following coat. Try to avoid smudging the paint with your hand. 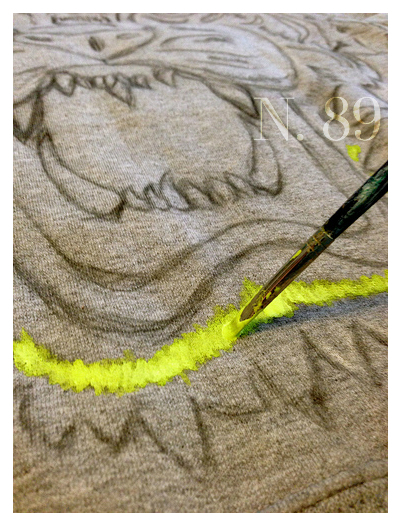 If you smudge the paint, just blend it in by thickening the line. You can use a blow dryer set on low to set the paint after every coat like I did. After painting, follow the drying instructions on the paint bottle. *I laid mine out for four hours to dry. The paint I used specifically instructs that you do not wash the item until 72 hours later. Wow — you are quite the fabric artist! Good post.